The EB-5 visa gives foreign entrepreneurs the opportunity to become permanent residents in the United States by making a qualifying investment. This investment can be made either in a new commercial enterprise or in a regional center. Regional centers are organizations that sponsor capital investment projects that are funded through the EB-5 visa program. There are more than 200 regional centers in the United States. If you would like to qualify for an EB-5 visa and eventually become a lawful permanent resident, there are several benefits of investing in a regional center rather than a new commercial enterprise. For example, you will have less managerial responsibilities because regional centers have been set up to manage the investment. If you would like to apply for an EB-5 visa, contact Kuck Immigration Partners. Charles Kuck will evaluate your situation, explain the eligibility requirements of the EB-5 Immigrant Investor Program, and help you gather the necessary evidence to prove that you qualify. 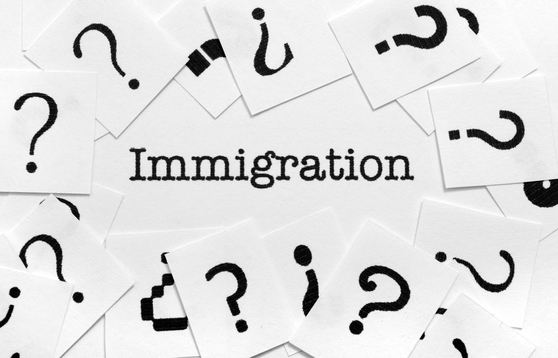 Call 404-816-8611 to schedule a consultation with an employment visa attorney in Atlanta. When you enter the United States through the EB-5 visa program, you will be a conditional permanent resident. You will have two years to satisfy the requirements of the EB-5 visa program, or you will likely face deportation proceedings. One requirement of the EB-5 Immigrant Investor Program is that the immigrant entrepreneur’s investment creates or preserves at least 10 jobs for qualifying U.S. workers. If you invest in a new commercial enterprise, only “direct jobs” will count toward the job creation requirement. These jobs are identifiable occupations for qualified workers within the enterprise. However, if you invest in a regional center, “indirect jobs” will also count toward the job creation requirement. These are occupations that are created collaterally as the result of investing in a commercial enterprise that is affiliated with a regional center. As previously mentioned, immigrants who invest in regional centers usually have less management responsibilities because the programs are already in place to appropriate and manage EB-5 investments. As such, the immigrant has more time to spend finding a new home, becoming acclimated with his or her community in the United States, and focusing on other tasks, including working and investing in other areas. In most U.S. visa programs, a sponsor must petition on behalf of the immigrant. However, foreign entrepreneurs who want to petition for an EB-5 visa by investing in a regional center do not need a visa sponsor. If you would like to apply for an EB-5 visa, contact Kuck Immigration Partners. As your immigration lawyer in Atlanta, Charles Kuck will help you apply for an EB-5 visa and will provide legal guidance to help you remove the conditions on your residency. Call 404-816-8611 to schedule a consultation.